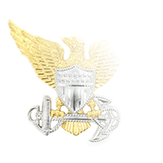 Like Officers, Chief Warrant Officers, and Chief Petty Officers, Sailors in the E2-E6 rates are authorized to wear collar grade insignia on the collar points of the khaki short-sleeve shirt (male) or khaki overblouse (female) worn with the Service Uniform. 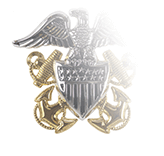 The Navy began the two-year rollout of the Service Uniform in July 2008, fully replacing the Summer White and Winter Blue (“Johnny Cash”) uniforms by July 2010. The E4 rate, Petty Officer Third Class, is represented by a single chevron underneath a spread eagle on a perch. 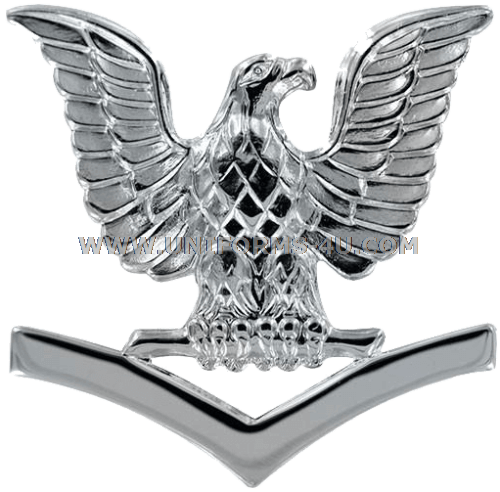 The collar device is placed at a point where the top of the chevrons are one inch from the front and lower (back) edges of the collar, tilted roughly 45-degrees inboard and with the Eagle facing inward so that the insignia’s vertical axis follows an imaginary line through the collar point equally bisects the collar. 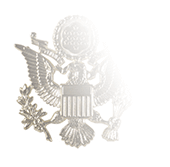 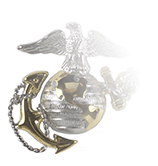 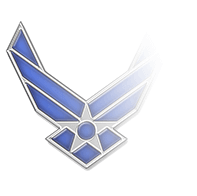 Rating specialty marks are not worn on the collar with this insignia of grade.